The battle for true peace commences in the mind. The Bible counsels us to be very careful and guard our thoughts as well as what we ponder within our heart, because that will set the cadence of our life. Christ Jesus in His gracious message on the mountain informs us that it is the pure in heart that see God. The writer of the book of Hebrews again admonishes us to actively seek, and powerfully pursue, purity and holiness, if we are going to see and behold the Lord. It is a tragic mistake thinking we can live a double-minded lifestyle and still have the blessing and favor of God and peace of God surrounding our life. Scripture warns us that to be double minded is to forfeit contentment and peace in every arena of one’s life. Scripture states a wicked person is like the troubled sea filled with shame and unrest (see Isaiah 57:20-21). Again in Psalms 66:18 we see that sin hidden within causes our fellowship and communication with the Lord to be broken. gives] to everyone liberally and ungrudgingly, without reproaching or faultfinding, and it will be given him. Only it must be in faith that he asks with no wavering (no hesitating, no doubting). For the one who wavers (hesitates, doubts) is like the billowing surge out at sea that is blown hither and thither and tossed by the wind. Notice the sad list of actions and attitudes of a double minded person: unstable and unreliable and uncertain about everything he feels, thinks and decides. These are lethal deadly actions that we must avoid. God wants us to walk in His light and love, guided and directed by His Holy Spirit. What does it mean to be double minded? Simply speaking: attempting to live in sin while seeking to portray your-self as a true upright Christian. and making it to abound]. These should be days of mounting up and soaring higher and higher in the ways of God. NOW is the time to renew your strength and be empowered by a fresh touch and anointing of God’s Spirit (see Micah 3:8). The promise of God’s protection and provisions are extremely clear in this passage and promise from Isaiah. Ponder these passages and take them to heart. You will discover abiding peace and tranquility, even in a hostile world. its inclination and its character] is stayed on You, because he commits himself to You, leans on You, and hopes confidently in You. Don’t fret or worry. Instead of worrying, pray. Let petitions and praises shape your worries into prayers, letting God know your concerns. Before you know it, a sense of God’s wholeness, everything coming together for good, will come and settle you down. It’s wonderful what happens when Christ displaces worry at the center of your life. Summing it all up, friends, I’d say you’ll do best by filling your minds and meditating on things true, noble, reputable, authentic, compelling, gracious—the best, not the worst; the beautiful, not the ugly; things to praise, not things to curse. Guard your thoughts keep your mind pure! Watch what you watch! It does matter what movies you watch. Keep your focus on Godly things! May these days be filled with God’s blessings and favor on you and your family (see Psalms 84:11). Now more than ever before we need to press into hearing what the Spirit of the Lord is saying today. We need to know Him. These MP3s along with the manual will help you in your journey of intimacy with the Lord and bring you to greater understanding of the commands in Scripture to encourage one another. I often will say as I instruct ones in the prophetic that all of the gifts of the Spirit flow through the prophetic. If we can hear God’s voice then we can hear words of wisdom. If we can hear God’s voice then we can hear words of knowledge. If we can hear God’s voice we can have discernment. If we can hear God’s voice we can have faith to declare those things that are not as though they are. If we can hear God’s voice then all of the Gifts of the Spirit will flow through us. God is speaking today. It behooves all believers to embark on this most exciting journey of learning to hear God’s voice in as many possible ways as God is speaking. 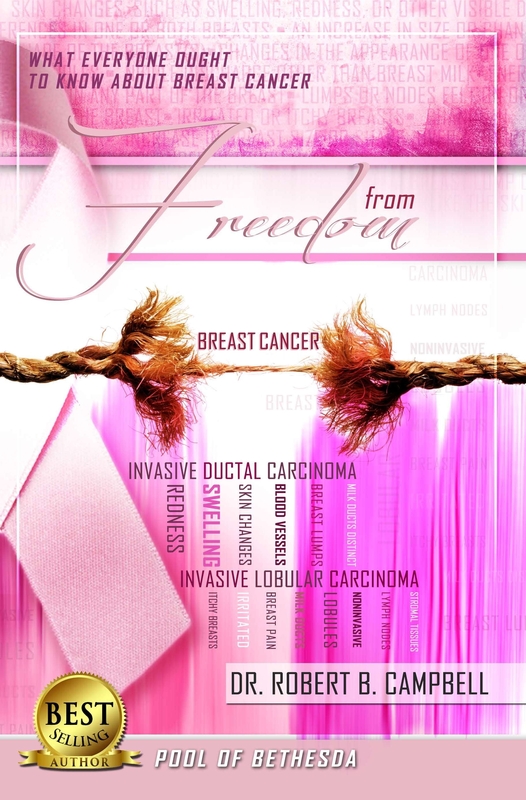 Freedom From Breast Cancer; What Everyone Ought To Know About Breast Cancer,by best selling author Dr. Robert B. Campbell offers a breakthrough Breast Cancer treatment options that can bring healing and relief. You can treat Breast Cancer naturally and feel better-naturally and drug free! If you have breast cancer symptoms, you will find that our holistic treatment for breast cancer has a high success rate in eliminating cancer. We will tell you how to treat and prevent breast cancer naturally by addressing some common roots to this disease. According to http://www.breastcancer.org, about 1 in 8 U.S. women (just over 12%) will develop invasive breast cancer over the course of her lifetime. In 2013, an estimated 232,340 new cases of invasive breast cancer were expected to be diagnosed in women in the U.S., along with 64,640 new cases of non-invasive (in situ) breast cancer. Breast cancer is preventable and curable. You will read the testimony of a breast cancer survivor. Do you have questions or concerns about Breast Cancer? We will show you how to implement a plan for treatment and prevention. You will also discover what causes Breast Cancer. You will learn how to recognize the triggers and causes of Breast Cancer and how to help prevent it. There are Breast Cancer treatment options and guidelines available for your Breast Cancertreatment! Whether you are a woman diagnosed with breast cancer or whether you know someone with breast cancer, this book was written for you. In the Freedom From Breast Cancer: What Everyone Ought To Know About Breast Cancer book, we will give you the insights and tools needed to overcome this health issue.We will tell you what your doctor may not tell you about Breast Cancer. Is there good news? Yes, Breast Cancer is treatable (and preventable), and today you can take action to alleviate and eliminate your Breast Cancer symptoms. God wants you to be healthy. Now you can have a source of information that will help you become healthier in mind, body and spirit. There are over 100,000 Pool of Bethesda books in circulation! Dr. Robert B. Campbell Th.D. 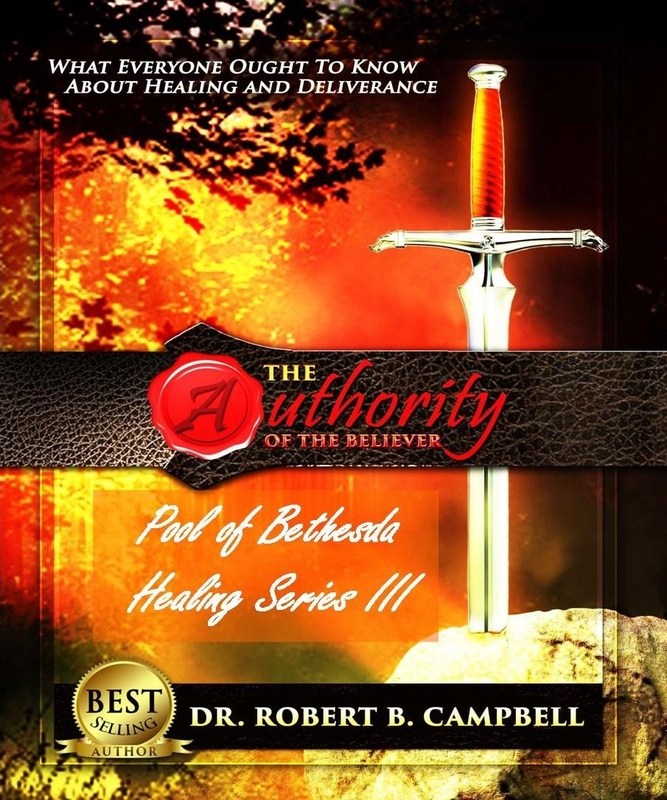 is a best selling author and has a passion to see people healed of all disease and illness. He continuously does research on disease and illness looking for common roots and cures to those infirmities. He hosts a regular school of healing and writes extensively. He is the author of numerous books and articles which include “Freedom From Migraines”, Freedom From Endometriosis”, “Freedom From High Blood Pressure”, “Freedom From Acid Reflux”, “Freedom From Eczema” “Freedom From Acne”, “Freedom From Allergies” and “Freedom From Asthma” and more, with over 100,000 Pool of Bethesda books in circulation. Robert has been married to the love of his life for over 35 years and is the father of 4 and the grandfather of 3. Friday September 19th at 10am, 12:30-2:30pm Pastors Leaders Luncheon, and 7pm. Special Pricing! Breakthroughs in Physical, Spiritual and Emotional healing. We have seen healings of breast cancer, asthma, allergies, arthritis, fibromyalgia, diverticulitis, cancelled hip replacement, pain, depression, bi-polar, clearing of vision, bladder control, emotional wholeness and healing, high blood pressure, shingles, migraines, mitral valve prolapse, fears, anxiety, rejection and many more! It is time we begin to walk in our authority and experience the abundance God has promised! Your healing is an accomplished fact, and this invaluable series will show how you can make the promise of healing a reality in your life. This is a real faith builder that takes the mystery out of the healing process. You can learn God’s will regarding healing in your life! Don’t forget to add the coupon code of 20off at checkout for even more savings!